Q: Where did you get the idea for writing a book of true stories? 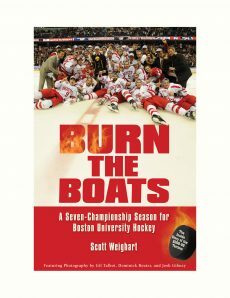 Scott Weighart: The initial incentive for writing it was many meetings and conversations with my counterparts on the business co-op faculty at Northeastern. Over the last couple of years, we’ve struggled to find better ways of helping the so-called “Millennial Generation” make the transition from being students—and customers—to being employees and service providers in professional roles. Yet no matter how much we talked about what it takes to, say, stay positive in a somewhat menial entry-level job or how you have to earn opportunities for growth instead of having them handed to you, we always felt like the problem didn’t go away. In some ways it had become worse. So over time I started thinking about what had worked for me in teaching our Professional Development for Co-op course. One consistent trend in student feedback was that the students just loved the true stories that I would tell in class. Maybe they didn’t remember every concept that I told them, but they certainly seemed to retain the stories. Telling stories seems to appeal to everyone: They have entertainment value, and the fact that they’re concrete makes it easier for someone who is 19 or 20 to understand them and get the concept that way. So writing a book of stories seemed like a good idea. And then a funny thing happened during the writing of the book. Although I didn’t realize it until the book was almost done, Exceeding Expectations pulls together my fairly eclectic background. I am an aspiring fiction writer and have taken many writing workshops and belonged to small support groups for fiction writers. That experience definitely helped in writing stories that would really come alive. In many interviews, I drilled the interviewee for the details of the story, knowing that’s what makes for compelling and vivid reading. Another asset was that soon after I received my MBA many years ago, I did a great deal of analytical work for a human resources consulting company. I had to analyze critical incident interviews of star performers at a given company and then identify behavioral competencies that they demonstrated through the stories that they told. The goal was to try to figure out what differentiated those great performers from the average ones at that company. So that experience was invaluable in figuring out how to make sense of 80-plus stories. Thanks to those experiences as well as the fact that I’ve written several books now, this book came together with amazing speed. Q: How long did it actually take you to write Exceeding Expectations? SW: Well, I’ve been asked that a lot, as many potential contributors were surprised that the window of opportunity to get involved with the book turned out to be very short. To be honest, there are a couple of answers to that question. On the one hand, you could say that I’ve been working on the book for a decade. After all, many of the stories in it go back to my early days as a co-op coordinator back in the mid-1990s. And I also had a rough idea of the book in mind for the last few years. That said, though, I really didn’t write the first word of the book until mid-May of 2006. I had some vacation days to use up by the end of June, and it also occurred to me rather suddenly that the book would not be ready to use in September unless I really got moving! So I set a very ambitious goal of having the book completely written and edited and shipped to the printer before leaving on a two-week vacation on July 8. So you could say it took less than two months. Q: That’s fast! How did you pull it off? SW: I sent out an e-mail to many colleagues, students, alums, and employers in mid-May, and I was just amazed at the response. I can’t begin to express my appreciation for the many individuals who stepped up to contribute in various ways. Several people actually wrote up their own stories, and that saved a ton of time; I just had to edit those stories and categorize them. Other people carved out time for an in-person or phone interview and then quickly critiqued the stories I wrote afterwards. And then many friends and family members contributed in so many ways, ranging from editing and proofreading to correcting my memory regarding the more personal stories that start off each chapter. I also am fortunate in that I can write very quickly. Through writing four books and hundreds of articles and essays over the years, the line-by-line writing element comes very easily for me. But perhaps the biggest reason was that the subject matter for this book was so inspiring! Writing a book is a bit like running a marathon, and there were times when I felt exhausted. I remember one point in early June when I felt that way, but then I met with my co-op colleagues Jacki Diani and Mary Carney. They shared some amazing stories about their nursing students, and I just couldn’t wait to get back to the computer to capture them. Another time my alum Keith Laughman e-mailed me two stories that revolved around the two biggest mistakes he made in his career. I thought it was such a generous offering on his part, as it takes a big person to reveal some of his worst moments. So that also gave me a real boost when I needed it. 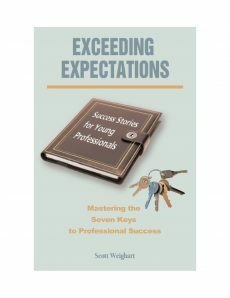 Q: How did you come up with the “seven keys to professional success” as you call them in the book? SW: After I wrote each story, I entered a record for it on an Excel spreadsheet, including the story’s title, who the story was really about as I’ve changed the identities in many cases, and then up to three possible themes for each story. I probably had roughly 20 different themes by the time I had written up 40 or 50 stories, so I started boiling them down. For example, I had a theme called “assume the best” which I decided was really a sub-theme of the “stay positive” theme. Likewise, “learn from mistakes” and “be coachable” seemed to fit under the banner of the “control what you can” theme. I wanted as few themes as possible without having to force a story into a category that wasn’t a fit. Ultimately I ended up with seven themes that seemed to characterize what these individuals were accomplishing according to the stories. So that’s how I came up with seven keys to professional success. Q: How do you expect instructors will use the book in a classroom setting? SW: There are many possibilities. I’ve written two pages of discussion questions at the end of the book that could be use in any number of ways: homework assignments to ensure that students actually read the material; in-class discussions in which the stories are dissected as case studies; and a final paper in which students have to synthesize what they learned in the classroom along with what they read in the two textbooks. The discussion questions should help with all of that. But I also can envision other ways in which the book could be a springboard for in-class activities. In some of those discussion questions, I ask the reader to assess which of the seven keys they have mastered in other situations as well as which are muscles that still need strengthening. 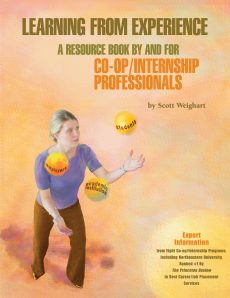 Then, right after the book came out in print in August, I felt that I needed to go further in providing instructor materials that would help guide co-op and internship educators. So I created an Excel spreadsheet breaking out all the stories by topic–interviewing stories; stories about transitioning from student to employee, and so forth–and then I devised “case clusters” that grouped cases that seemed to go together and that also appeared to be particularly useful for small- or large-group discussion. Then I added appropriate discussion questions for each case cluster. All of this is now available on the website. There is even a “bonus story” that I added to the website called “Finding Love In The Workplace.” This is yet another true story that occurred after the book went to print! It definitely will be in the second edition of the book. Students today are a bit paradoxical. 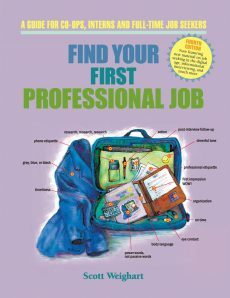 In some ways many of them expect to be immediate heroes or heroines in the workplaces… yet they also believe that any non-professional experience is completely negligible. This is why I chose to wrap up the book with one last story that came from someone who had never been on co-op before writing up that story. In fact, it’s a story about playing on a high school basketball team. Yet she shows basically all of the seven keys in the story! So part of our challenge as educators is simultaneously convincing our students that they do have the raw material necessary to be successful while also tempering their overconfidence in other ways. Q: How successful do you expect the new book to be? SW: There’s really no way of knowing. I do think that it’s the best book I’ve written and probably the one that could have the most broad-based appeal beyond the co-op and internship world. 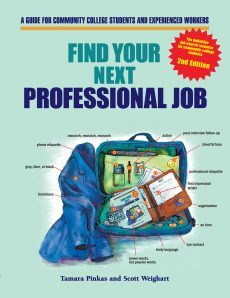 Any young professional could benefit from this book, whether or not they ever did an internship or even if they never heard of co-op. Yet there are also many elements that go into how the content of a book translates into sales. I’ll be taking various steps to try to make sure a broader audience has the opportunity to become aware of the book. We’ll see how that goes, but for now I just am very satisfied with the book and confident that many educators and aspiring professionals will find value in it.